Founded in Baltimore in the spring of 1858 by Abram Hutzler. 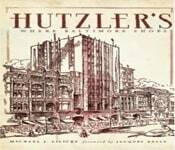 After 100 years of business Hutzlers expanded from its original location and opened its first branch store in Towson Maryland.The chain began to contract in the late 1980’s closing the downtown store first and then the suburban branches. All the branches were close by 1990.